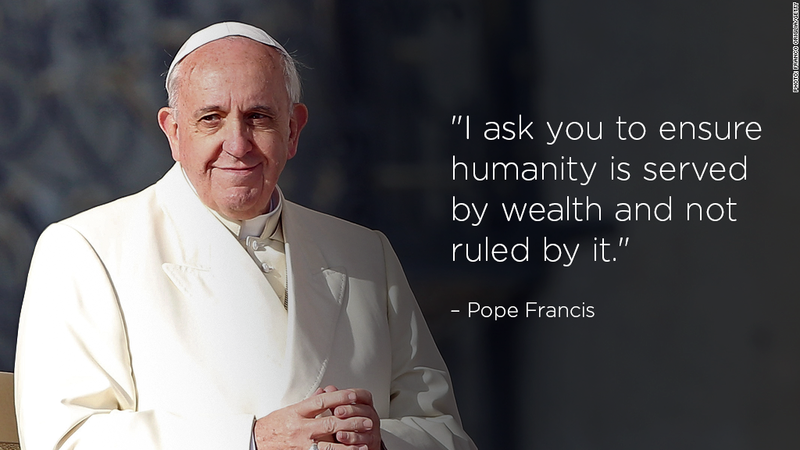 Pope Francis has challenged the world's business elite to do more to help the poor and vulnerable. In an address read by Cardinal Peter Turkson at the World Economic Forum in Davos, Switzerland, the leader of the world's 1.2 billion Catholics said it was intolerable that thousands die each day from hunger. The pope urged leaders to adopt a new "political and business mentality" and to put their skills to work for the benefit of those living in dire poverty. "I ask you to ensure humanity is served by wealth and not ruled by it," he said. The event sees global leaders congregate to discuss pressing world issues. Heads of state, central bankers and CEOs such as Yahoo's (YHOO) Marissa Meyer and Coca-Cola's (KO) Muhtar Kent are attending. The annual forum is also a highly exclusive gathering for the global elite to network and party. Since taking up his post in March 2013, Pope Francis has been outspoken about the problem of income equality, a central topic of this year's conference. The papal address comes on the heels of an Oxfam report that found the world's 85 richest people now own as much wealth as the poorest 50% of the population. Pope Francis said tackling inequality would require action to achieve a better distribution of wealth, create jobs and "an integral promotion of the poor which goes beyond a simple welfare mentality." President Obama is due to visit the Pope on March 27. The White House said President Obama was looking forward to discussing "their shared commitment to fighting poverty and growing inequality." Pope Francis has given the Vatican a public relations boost, inspiring widespread admiration with deeds such as inviting homeless men to his birthday meal and taking a teenage boy with Down syndrome on a ride on his Popemobile. 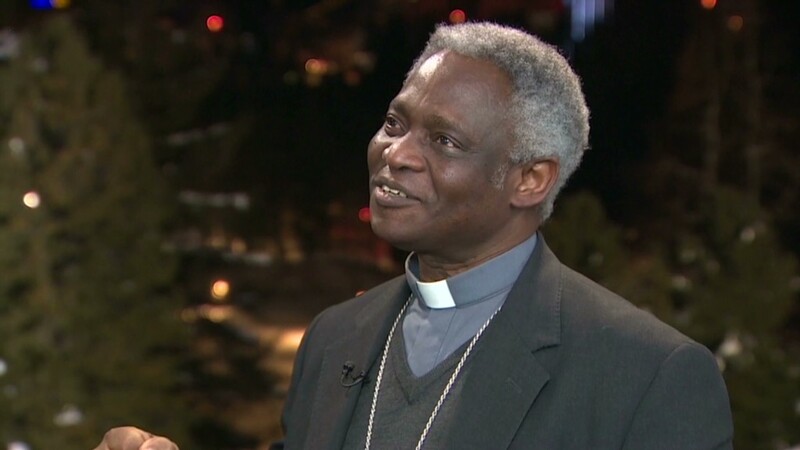 "It's been like a springtime for all of us," Cardinal Turkson told CNN. "He's breathed new life into Church leadership." Visits to the Vatican roughly tripled last year as people flocked to see him.